Families who have signed up for toys in November can come to City Hall (during unique specified pick up times) between 10am-4pm on Saturday, December 15 to pick up their gifts! 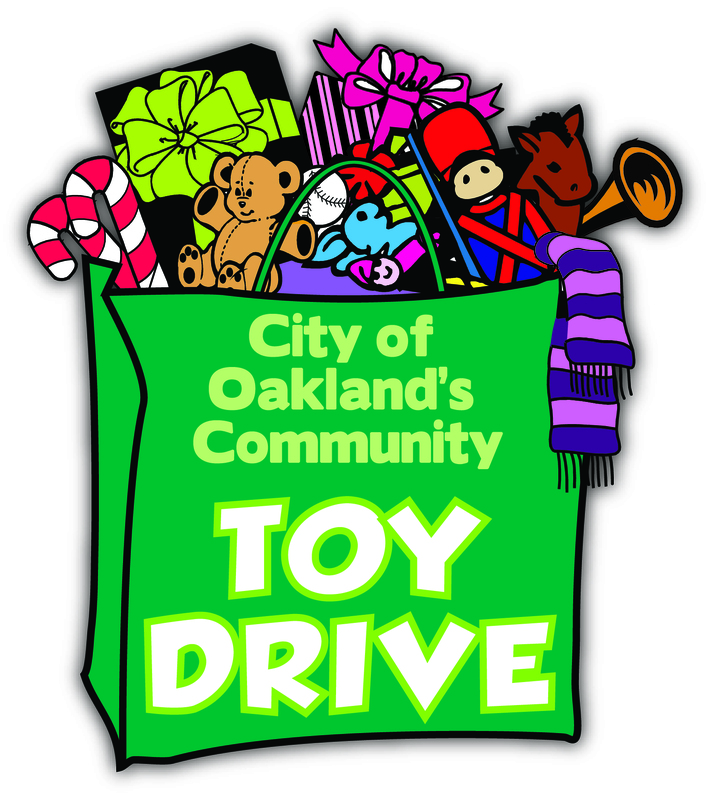 During the holidays, the City of Oakland collects and distributes toys for Oakland children. Last year, we were able to provide toys to over 8,000 children from low-income families. This includes over 16,000 dolls, trucks, books, board games, sports equipment, and gift certificates. NOTE: TOY DRIVE WILL BE HELD EARLIER THIS YEAR ON SATURDAY, DECEMBER 15, 2018. Registration takes place at Oakland City Hall. Hearing Room 2. Please enter through the 14th Street side door. Signs will be posted. On Saturday, November 3, 10 and 17th 12 pm – 4 pm the City of Oakland is holding registration for all eligible Oakland residents to receive toys for their children this holiday season. The Toy Drive is partnering again with the Animal and Community Resource Network to provide bags of dog and cat food to those toy recipients with pets. Applicants do not need to line up before 12 pm as this is not a first come first served program – everyone that comes will get served. Proof of Children’s ages (birth certificate, medical card or social security number) Ages 0-12 up to 4 children per family.